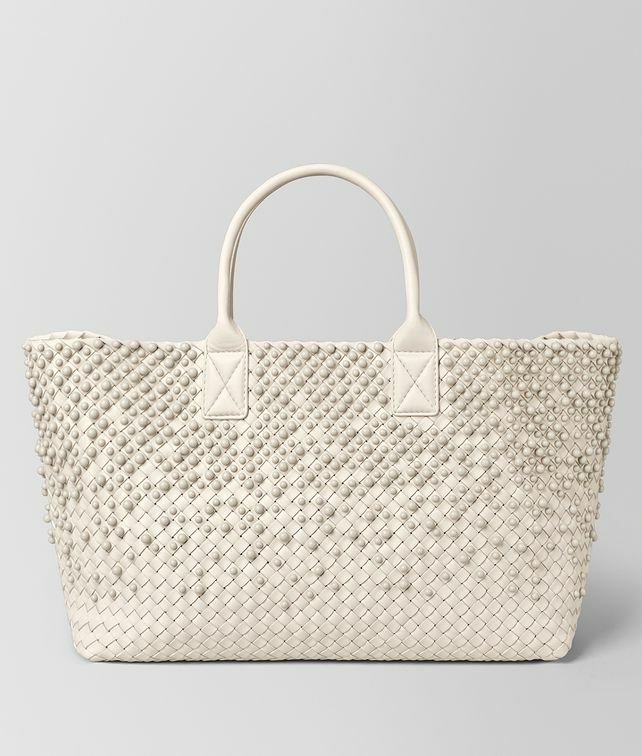 Elegant and understated, the Cabat is Bottega Veneta’s most iconic design—a deceptively simple, seamless tote that is finished as beautifully on the inside as it is on the outside. This style is inspired by Venetian gazing balls, hand-woven from soft nappa leather and embellished with over 1,400 hand-applied resin spheres. It features rolled handles and an interior zipped pouch with an engraved limited-edition tag.